Fibre optic telecoms CityFibre has announced a £2.5 billion investment to accelerate its plans to bring ultra-fast broadband to five million homes. The project is hoped to create 5,000 contruction jobs and add £85bn to the UK economy. The company is currently working on connecting thousands of homes and businesses in Peterborough, Milton Keynes and Aberdeen. Meanwhile, construction is due to start in Stirling, Edinburgh and six English cities shortly afterwards. Paul Wheelhouse, Scotland's minister for energy, connectivity and the islands said: “Commercial investment in digital infrastructure in our cities is an important aspect of meeting our commitment to reaching 100% of premises by the end of 2021, alongside our work in rural Scotland, and this investment in full-fibre will enable our people and businesses to succeed while providing the stepping stone for advances in 5G technology. 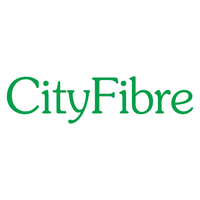 Greg Mesch, CEO of CityFibre said the investment plan “enables us to further accelerate our rollout, catalysing huge economic growth in regional towns and cities across the country and transforming the UK’s digital future”.